I think I should have more positive things to say about last year than just that my daughter got married and the wedding turned out beautiful. I'm sure that I should have sage words about learning through hardship, loss and grief. About still finding something to smile about every day, even when I've felt yuck so many of them. About goals for the future, things I want to change. That sort of thing. Sorry, I'm just not feeling it today, though obviously these things are true. I'll save that stuff for a day when I have an introspective, fuzzy-focus photo of me looking out into the distance, engaging in deep thoughts. It will be labelled under "cheese" in the sidebar. 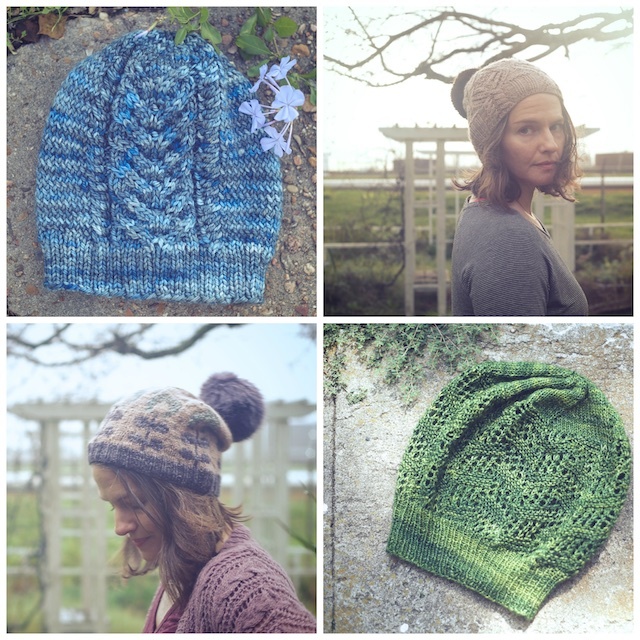 Instead, I'll talk about one of the purposes of my life: to knit 48 thingies in one year and have enough hats to wear a different one each day of our short winter. These are also things that can test and refine men's souls, are they not? 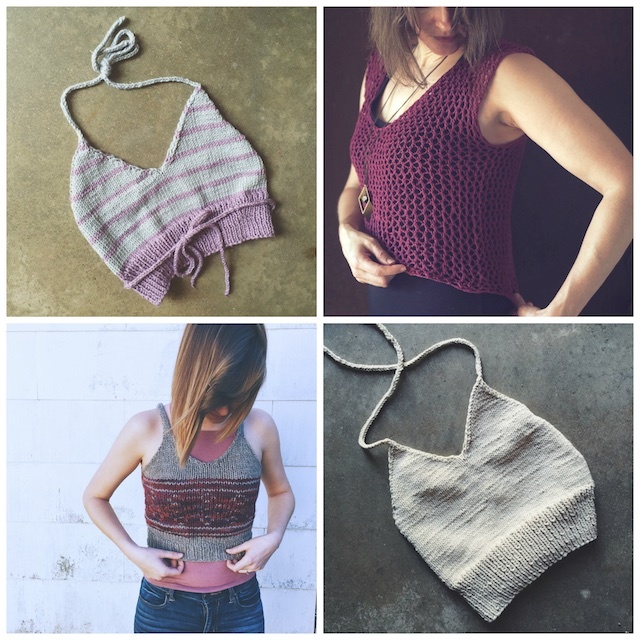 I went to my first knitting event: Veera and Joji Knit America at Madtosh Crafts, for which I knit Dragonflies and Twenty Ten because Joji and Veera design them, respectively. I'm so glad I went to this event. Aside from fangirl-ing the designers, I got to spend time at The Madtosh store before it closed later in the year. The other one was also a first. It was the most modified, souped-up, pattern mash-up I've ever knitted. It was also a TV themed sweater, inspired by The Killing. 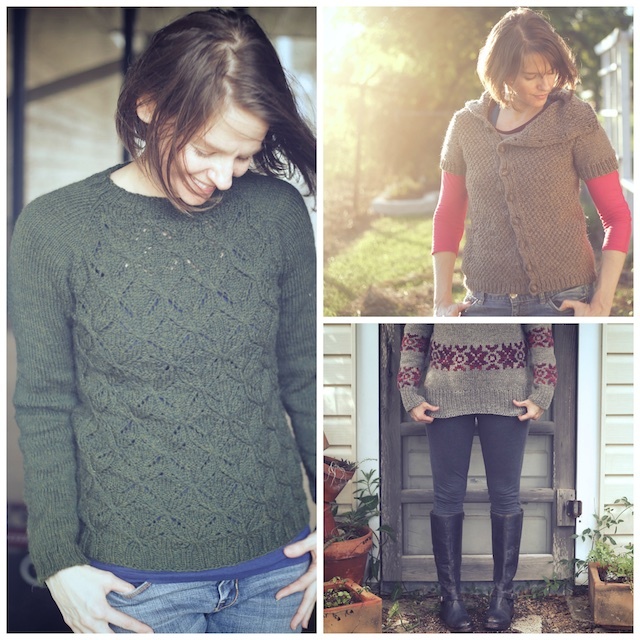 Dragonflies Pullover, Twenty Ten, and what I call Lund or Linden? My neck will never be cold again. 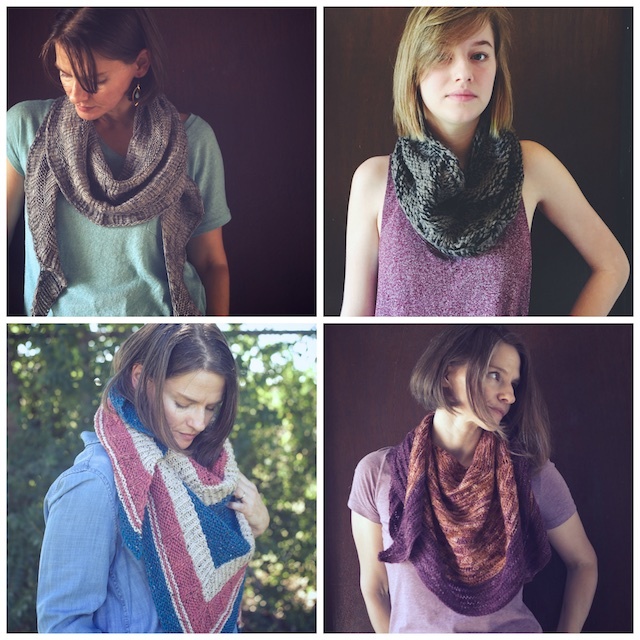 I followed my first shawl, knit the year before, with 7 more in 2015. There were also 3 more cowls. This is one, crazy long scarf. It used up lots of Unicorn Tails I won at Madtosh and pretty scrap yarn. I was particularly proud of how I hacked the original pattern to make what stash I had work and look good together since I was short many of the madtosh colorways. My living room was a wreck through the whole project, but, hey... a long, wacky scarf. This was another TV-inspired knit for the Gilmore Girls KAL, based on a scarf Rory wears in a Spring Break episode. 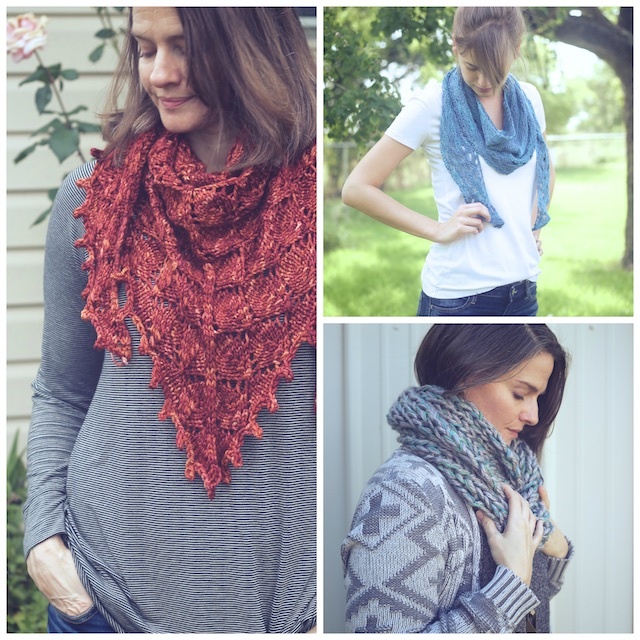 The Rory Needs a Break Scarf, Meaford Moss Cowl, Industry Shawl, Bloomfield Lace Wrap. My miscellaneous knits were really unique: a super cute knitted skirt, a pair of rather fancy, fingerless mitts, and a couple of headbands knit from recycled yarn. I had nothing like any of these in my wardrobe. 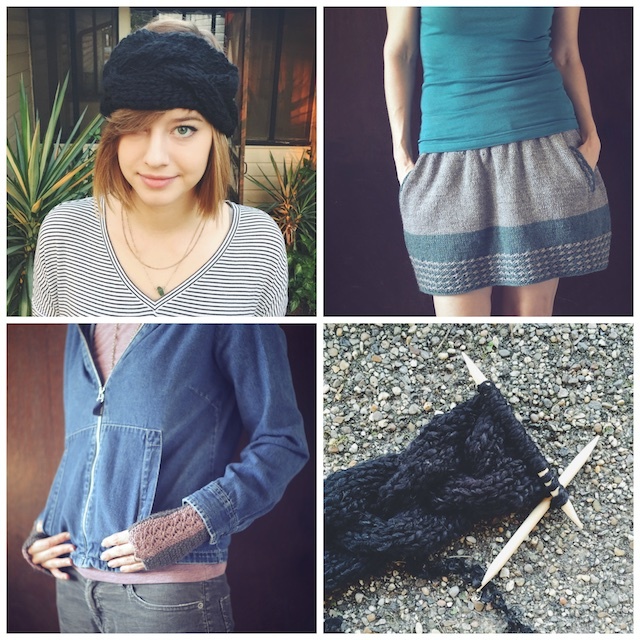 Two Simcoe Headbands of recycled yarn, New Girl Skirt, and Cedar Glen Mitts. And 4 dischloths! Don't forget those little guys that adorned the wedding gift I put together for my daughter and son-in-law. Aren't those vintage Pyrex bowls the best? I really don't think I've ever knit a dishcloth before, maybe once. 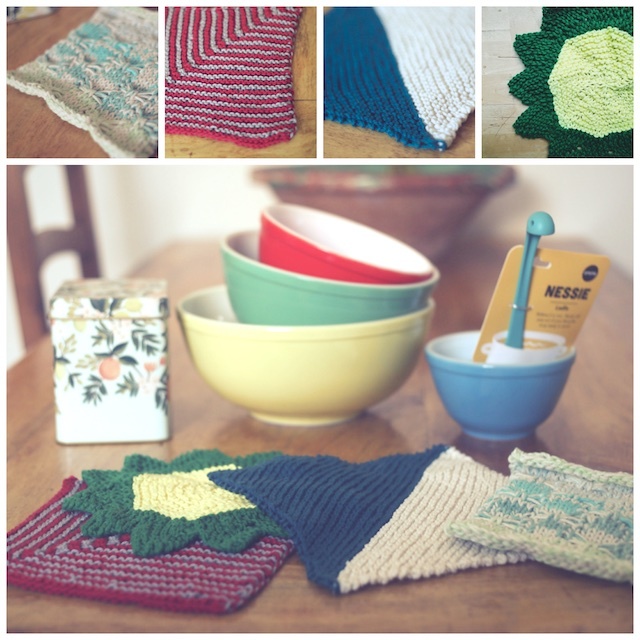 From 52 Weeks of Dishcloths: Firefly, Ridge, Slant, and Starflower. There were hats a plenty in 2015. Fourteen to be exact. 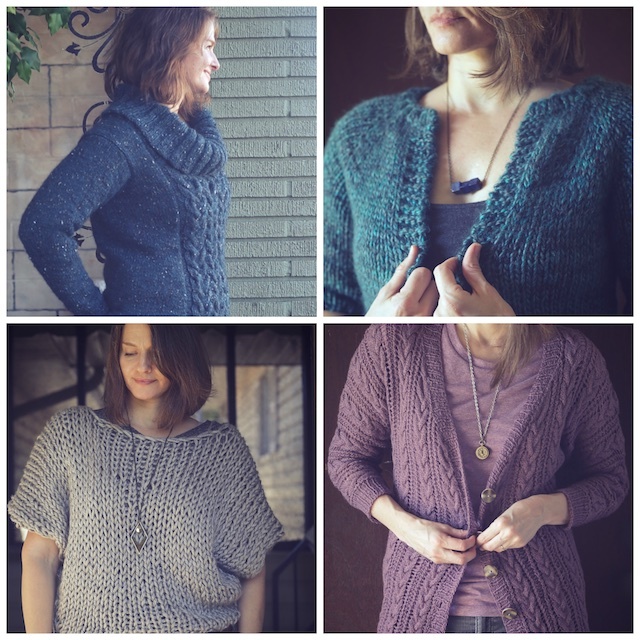 This is a good time to mention another big knitting deal for me this year- test knitting for Tara-Lynn Morrison's Good Night, Day Book. 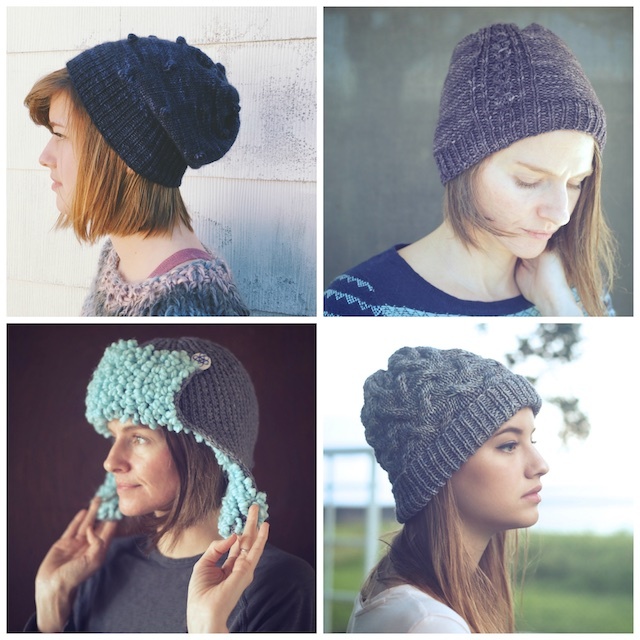 That's what the group of hats in the photo below were for, along with a few sweaters and several cowls/ wraps. 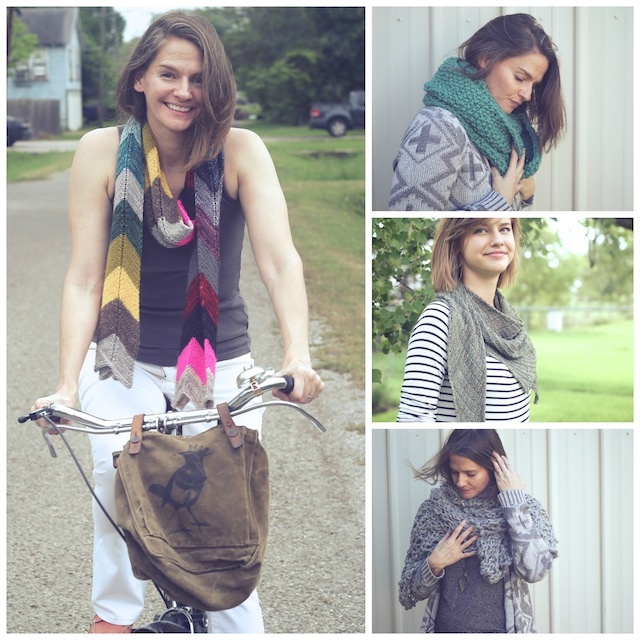 It was a hectic time, test knitting while my life went crazy, but I'm so glad I did. However, this is why so many of my project photos became model-less, quickie phone pics. I'm still not quite back in the true photo/blog post groove yet. 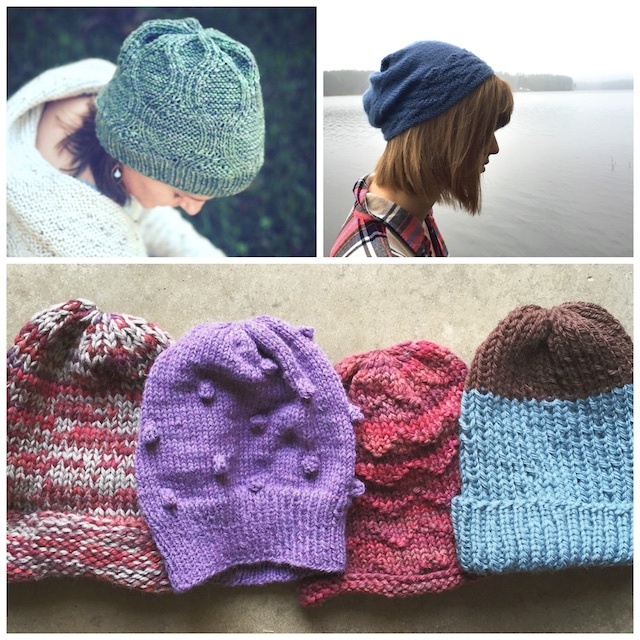 Karite, Go!, Mono Toque, York Bobble Toque, Mattawa Zig Zag, and Jarvis Fisherman Toque. Another first for me was being so scattered that I had like 6 knits on the needles at all times and no photos taken on many before the year end, which is why you're just now seeing this in February. If I can improve my editing and computer skills quickly enough, I may follow this with a 2015 Knitting Outtakes Slideshow. It may even top Worst. Knitting. Photos. Ever. I'm glad I reviewed my crafting year. I feel much better than when I started this post and began thinking about this not-so-easy year. I look industrious, organized, and accomplished even, after writing this. The fact that I've got unfinished posts on about 3 years worth of room remodels, DIYs, vacations, and that beautiful wedding I mentioned, can be overlooked for now. AH!!!!! 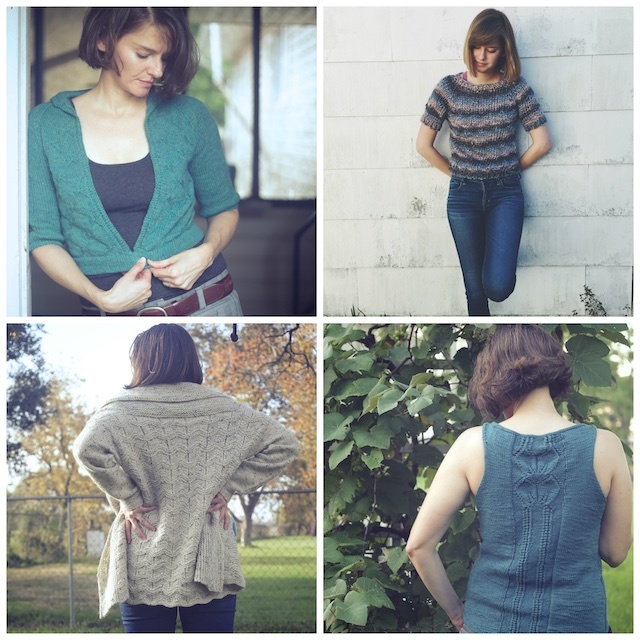 Happy 2016 super late my Friends and my Knittas! May this year be the lovely, joyful year we crave.